Amazing location to be honest. I liked the old style building design. Checking process was easy, Spacious rooms, Comfortable beds. Facilities were okay.. 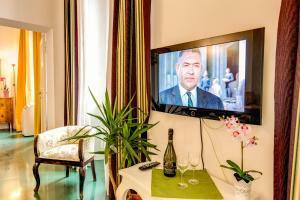 Apartment near Colosseo and city center. Supermarket, pubs and restaurants. The location was the best. Near the Colosseum. That was the best part. Good location. 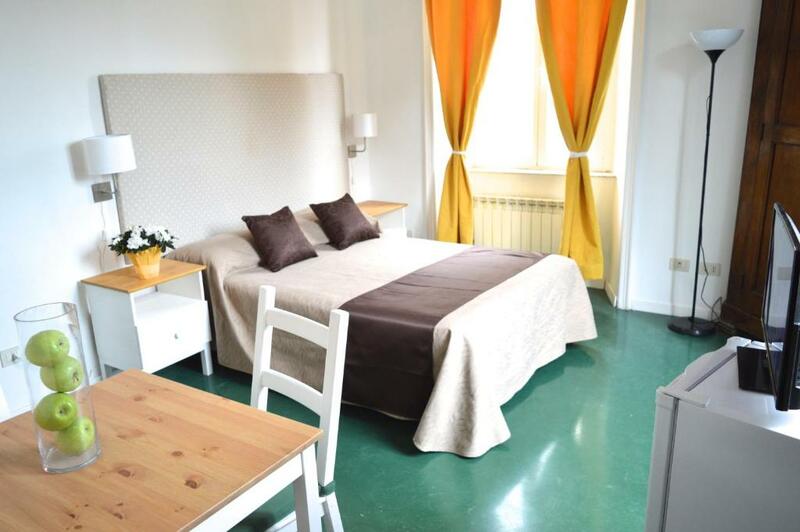 Walking distance to Colosseum, restos, grocery and atm. 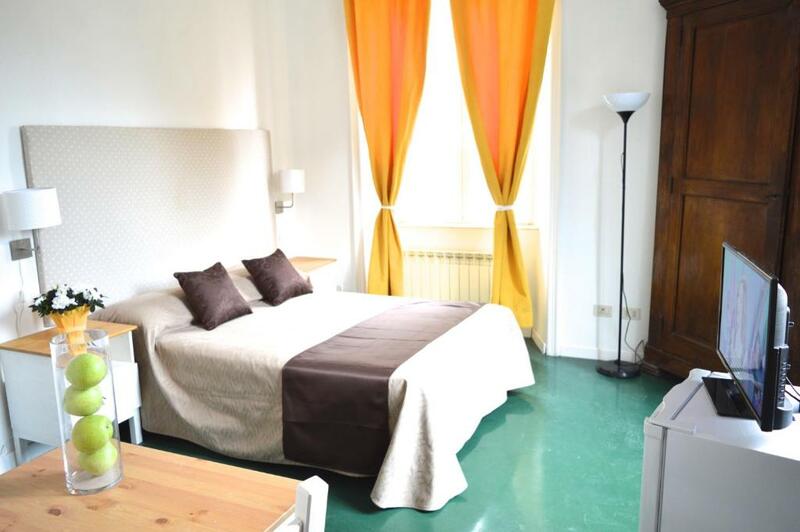 Very close to the colosseum, with lots of great restaurants and supermarkets options. Also easy to get into the city, with buses (including the city tourist buses) on the next block. The location was amazing and the apartment wasn't very expensive. Comfy, clean beds, although shower could've been a bit more powerful. Only negative was finding cleaner still inside on arrival who was very angry about something and just kept stomping around the apartment. On the plus side Alice was lovely! One of our best sellers in Rome! 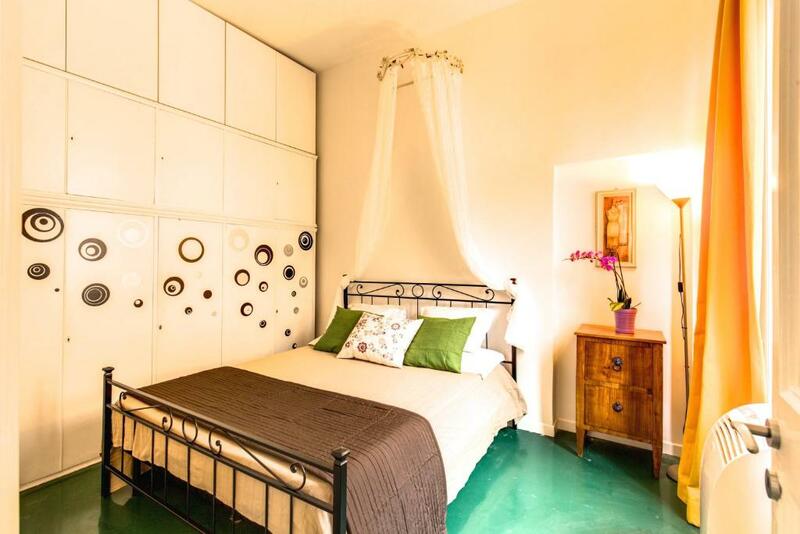 This elegant apartment in Rome is located 150 feet from the Colosseum. Domus Ostilia Colosseum provides free WiFi. 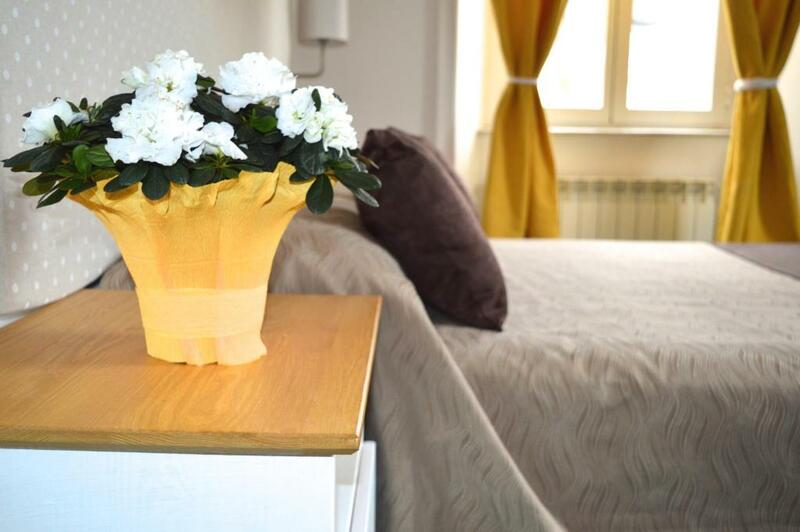 The accommodations is air-conditioned and includes a seating area, TV and a fully equipped kitchen with oven and dishwasher. 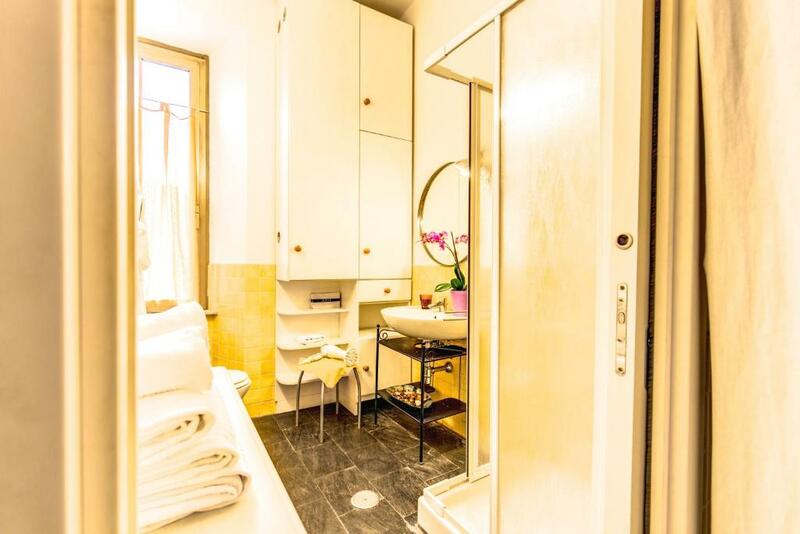 There is also a private bathroom with shower, hairdryer and bidet. Domus Ostilia Colosseum is surrounded by craft shops, cafés and sandwich bars. There are 4 supermarkets, a discount store and a gym nearby. 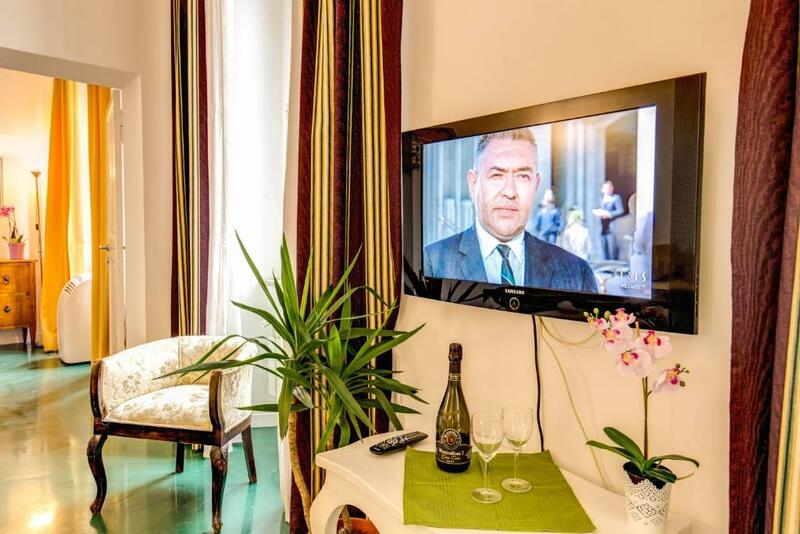 The apartment is 1,300 feet from Domus Aurea Golden House and 2,300 feet from Circus Maximus. 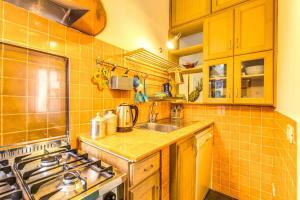 It is 1,650 feet from Colosseo Metro Station and 14 mi from Rome Fiumicino Airport. 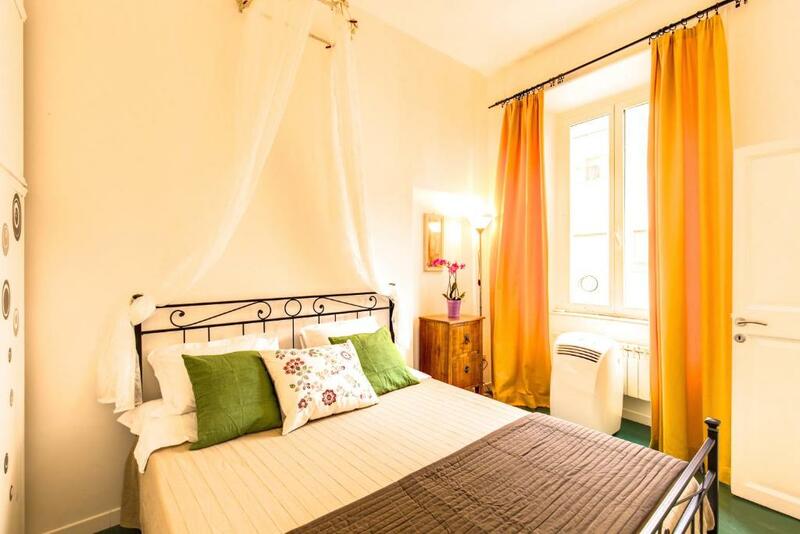 뀐 Located in the real heart of Rome, this property has an excellent location score of 8.7! When would you like to stay at Domus Ostilia Colosseum? This apartment has a toaster, private entrance and oven. This apartment has air conditioning, toaster and soundproofing. House Rules Domus Ostilia Colosseum takes special requests – add in the next step! Domus Ostilia Colosseum accepts these cards and reserves the right to temporarily hold an amount prior to arrival. A surcharge of EUR 29 applies for arrivals after 20:00. All requests for late arrival are subject to confirmation by the property. Please inform Domus Ostilia Colosseum of your expected arrival time in advance. You can use the Special Requests box when booking, or contact the property directly using the contact details in your confirmation. The nights are cold and there is NOT a working heating system. There is black blight everywhere: in the shower, on the windows. It is very unhealthy. The fridge in the american style living room is very-very loud. Be prepared If you sleep there. We are very disappointed and upset. kitchen stove was very slow to heat and it is too close to sink so a bit of space issue if anyone wants to cook. Sink and toilet basin water logging issue is there though we managed. The main issue was lift which starts from half floor and reaches between floors on step area. The floor on which the flat is - sometimes the lift door does not open at that floor. If you have heavy luggage then it is a concern to take it up or down. Also difficult to locate the lift unless you are told. Filthy, rude, unhelpful (no sheets on sofa bed), toilet seat unattached, electrical hazard (lamp), shower head detached (asked for repair - sound of crickets) cooking equipment unsatisfactory and icing on the cake - accused of wrecking service lift. Marginally better than sleeping in the train station! Very expensive for what we got! Nothing. (1) Bathroom and sink (kitchen and bathroom) drain very slowly. Thus filling.up the shower and sink areas and preventing proper use. (2) The 2 beds are not comfortable. Lumpy and too soft that we can feel the bed springs- giving us backaches in the morning. (3) Lifts do not stop at your floor; either you walk up or down one flight of stairs. This condition should be disclosed in the property description. If people are staying for 4 days or more new towels and sheets should be provided. Also it was good having a kitchen, however we had to use paper towels as no tea towels were provided either. Ineffective AC system, poor water pressure in the toilet, apartment was not clean. The shower head was broken. The toilet seat was broken. No toilet role was provided. Elevator didn’t work. Room is on the third floor. Very difficult to climb the stairs with luggage if it’s heavy. The location makes this place great for the traveling family. Close to metro and favorite sights. Of note: if you are accustom to hotels this is not the place for you. However, if you want a room with space, a little kitchen, and at a good price this is a good place. The location and comfort in the room.